The National Symphony Orchestra had to cancel Thursday’s concert when Yan Pascal Tortelier called in sick. Friday’s repeat was in imminent jeopardy. The solution? Call Baltimore, where associate conductor Nicholas Hersh was ready and willing to take on Debussy and Ravel. We hear it went rather well. 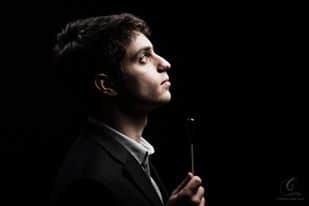 The Baltimore Symphony musicians posted: ‘We couldn’t be prouder of our assistant conductor, Nicholas Hersh, who jumped in on short notice last night to replace our dear friend, conductor Yan Pascal Tortelier, for the National Symphony Orchestra’s concert in the Kennedy Center. His performance was terrific and the audience went nuts, as you might imagine! For what it’s worth, Tortelier didn’t “call in sick”; he conducted the Thursday morning dress rehearsal, but had to terminate it a bit early as he clearly had begun to feel unwell (I was there). I don’t know anything further about his condition. I hope all is well as he also had to cancel 3 weeks ago in Iceland. Tortelier is a very fine conductor. Bravo, Nick!! I remember those 2016 performances well, including YPT’s own arrangement of Ravel Piano Trio. And Boston assistant Michael Tilson Thomas took over from an ailing William Steinberg and a career was born. It has happened elsewhere, too (Toscanini is another example). BUT one of the tasks of a genuine assistant conductor is to learn the scores their orchestra is playing and be prepared to step in immediately (and admittedly, Steinberg was known to be in failing health, so MTT likely almost expected to conduct). Does Washington have no assistant? Hersh had no reason to learn and prepare the scores for any orchestra other than Baltimore’s, which adds to the impressive nature of this appearance. Bravo to Maestro Hersh. If Norman will allow me to be a bit cheeky, though, I’m surprised that this post didn’t mention that the *original* conductor was slated to be perennial Slipped Disc favorite and Norman Lebrecht admiree….Mirga!